Pregnancy is an exciting time for women, but it often comes with many challenges, with skincare being an outstanding concern to many. Misinformation about pregnancy skincare creates frustration and confusion for pregnant women during a time they should be enjoying to the fullest. 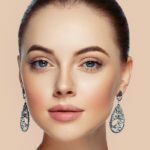 Further misled by the need to navigate into unchartered waters to deal with unfamiliar skin changes brought about by hormonal fluctuations which they’ve never had, it is little wonder that pregnant mommies are doing too much or too little.Here’s a list of 4 common preggers’ beauty banes that some have it worse than others, along with proven pregnancy safe treatments you might wish to consider to set things right, allowing you to truly celebrate motherhood and your femininity in full bloom. Many women experience acne during pregnancy although it might not be a skin woe that bothers them before there’s a bun in the oven. This is most common during the first and second trimesters, as an increased in circulating androgens can lead to hyperctivity of oil glands in the skin with increased sebum production; leading to bacterial colonization, inflammation, clogged pores and breakouts. 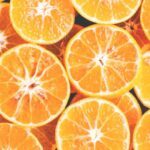 AHAs and BHAs are a group of naturally occurring fruit acids that has found its way into the dermatologist’s office for treating a whole host of skin issues, and some are exceptional in keeping breakouts at bay. Glycolic and Lactic acid are superior AHA exfoliants that are OK to use while pregnant, reducing oiliness and unclogging pores to restore skin’s pH to an optimum level. It’s recommended to lay off products contaning Retinoids such as Differin, Retin-A and Tazorac, as although very little of this vitamin A derivative gets absorbed into your skin, studies have suggested a possible link to birth defects. Create Cosmetics 5 ELEMENTS Cleanser is water-based cleanser that has only five natural ingredients, making it gentle yet effective on your skin. It contains 2% glycolic acid, which is safe for use during pregnancy and helps to exfoliate your skin and improves oil control. For more severe cases recalcitrant to topical medications, it’s perfectly safe to undergo the FDA approved VBeam Perfecta laser treatment to combat unsightly eruptions. The most advanced Pulsed Dye Laser technology on the market, it selectively targets blood vessels and therefore is effective in clearing acne and post-acne redness without any harm to surrounding healthy tissues. Not only does it tackle acne on the face, the VBeam laser can effectively treat blemishes on the back and décolletage as well. Itchiness and dryness of skin can occur as your belly grows to keep up with your growing baby. Pregnant women are known to face more serious bouts of itchiness, hives or rashes, and 1 in 150 pregnant women will develop a more serious skin condition known as PUPP— Pruritic Urticarial Papules & Plagues of Pregnancy. Minor rashes can have a tendency to go away on their own. However, it is important to not scrub the affected area and keep it well moisturized. Calamine lotion proved to be beneficial in curbing the itch and certain antihistamines such as Zrytec, Benadryl and Clarityne are safe for pregnancy. LED Red light therapy was initially studied by NASA for its benefits such as wound healing but since that time, its uses have expanded to include a far larger number of skin conditions. It is pregnancy safe and the discomfort and appearance of eczema and hives can both be soothed and faded through the anti-inflammatory properties of red light therapy, decreasing the itch and stinging sensation followed by healing of the rash. Despite the limitations, we all want to feel beautiful when pregnant, a little more “Earth Mother goddess” and a little less “exhausted pregnant mommy”. Pregnancy can leave your skin looking dull and lacklustre and SW1’s Full Bloom Program is a comprehensive skin rejuvenating and glow restoring treatment plan specially designed by their team of dedicated medical experts to help pregnant ladies safely and effectively tackle unflattering skin changes brought about by hormonal fluctuations for a true mother-to-be glow. 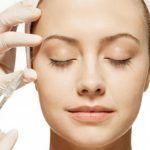 The core of this pampering program is IPL or Intense Pulsed Light, a photofacial that engages different pregnancy safe lights of varying wavelengths to tackle a host of skin woes; breathing new colour and life into lackluster skins while stimulating collagen for increased skin elasticity and reduced pore size. Paired with Aqua.dermabrasion, an improved and highly efficacious exfoliating experience to gently remove the epidermal layer and promote a thicker healthier dermis while smoothing and refreshing the skin, it is rounded up with Oxy Shot Intensive whereby highly concentrated oxygen molecules are delivered directly to the epidermis to complete the whole skin detox and glow revival experience. Read More: The 4 Faces of Ageing: Which One Are You? 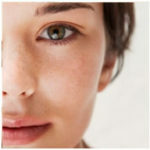 Approximately 90% of pregnant women will experience some form hyperpigmentation during their pregnancy. Women who are dark haired with darker skin types are more likely to develop some degree of skin darkening, and it is also more likely to be more pronounced in these women as well. More than 50%actually develop the much dreaded “mask of pregnancy” or melasma, a dark skin pigmentation around the forehead, cheeks and mouth. Although this doesn’t contribute negatively to the growing bump, the psychological repercussion is often disturbing. Unfortunately, melasma is also one of the most difficult pigmentary conditions to treat, and medical lasers seem to offer the most gratifying results to date. The new kid on the block for laser therapy is the Picosecond technology, a second generation laser (after nanosecond lasers such as Revlite and Medlite) which hit the skin in super short pulses (a picosecond is a trillionth of a second) that allows it to go strong where it’s directed without harming normal surrounding skin and causing collateral damages. SW1’s Pico Laser forms part of the Porcelain Skin Program, engaging the Pico Discovery laser in a pigment busting, skin smoothening protocol specially designed to tackle melasma head on. Aimed to unveil the undesirable “mask of pregnancy” with maximal benefits and minimal downtime, this comprehensive skincare regime is what it takes to give you the confidence to face the world, trepidations of motherhood and all.